Moments of My Life: She Loves Flowers! My Mom loves plants and flowers and I inherit her love for these kinds. I even bought some lovely kinds from the nursery besides our office. Actually the owner of the land will do some building construction so they were forced to move out so I bought some from them because I don’t want their blooms to be such a waste. I brought home some beautiful blooms such as million flowers, yellow and orange española, Malaysian mumps and some other tropical plants. My Mom and I really love flowers and she was happy when she saw what I’ve got for her. If only I could have some hydrangea she will be delighted with its bicolored flowers. 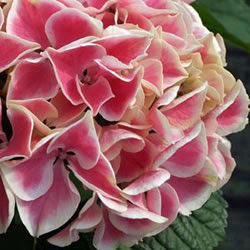 I found this flower on sale on online nursery site and they have beautiful varieties of these. Such a lovely site!